Star Kargo AZ has serviced customers in Glendale for many years, both dropping off empty boxes as well as picking up balikbayan boxes for shipping to the Philippines. There is also a nearby location where you can pick up empty balikbayan boxes (Goodyear): UPS Store – 14175 West Indian School Road If you live in Glendale, AZ, and need a fantastic Filipino shipping company, call us today. Ship to the Philippines with confidence. If you’re looking to ship Filipino balikbayan boxes and you like in Gilbert, Arizona, please contact us as we regularly pick up from this area. We are in the East Valley every week, and can easily swing by Gilbert, Queen Creek, San Tan Valley or other surrounding areas. We’re happy to serve our customers wherever they live in Arizona. Ship to the Philippines with confidence. Scottsdale, Arizona, is the home of many of our North Valley customers, ranging from Old Town to up near Cave Creek. Star Kargo AZ services the entire Valley without exception, so if you need you balikbayan boxes picked up or you just need some boxes to get started packing, call us today. Ship to the Philippines with confidence. We frequently pick up balikbayan boxes from the northwest Valley, ranging from Surprise to Sun City. If you’re in Sun City, Sun City West or surrounding areas and need to ship cargo to the Philippines, contact us today. We’re happy to head over to these great communities to help you get gifts and other items to your family and friends back home. Ship to the Philippines with confidence. Star Kargo AZ has serviced our friends in the East Valley for several years, picking up balikbayan boxes in all parts of Chandler. 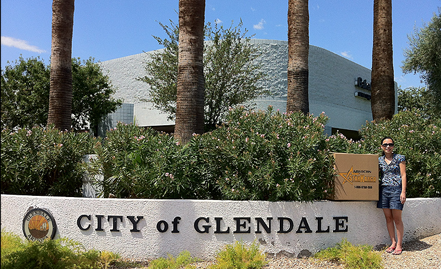 If you live anywhere in the Chandler area, call us today for you balikbayan box needs. Ship to the Philippines with confidence.